Moscow demands explanation from Kiev authorities after a Russian checkpoint on the border between two counties came under shelling on Friday, Russian Foreign Ministry said in a statement. On Friday, the Russian checkpoint of Novoshakhtinsk in Rostov region was shelled by mortars, the Russia’s Border Service said. 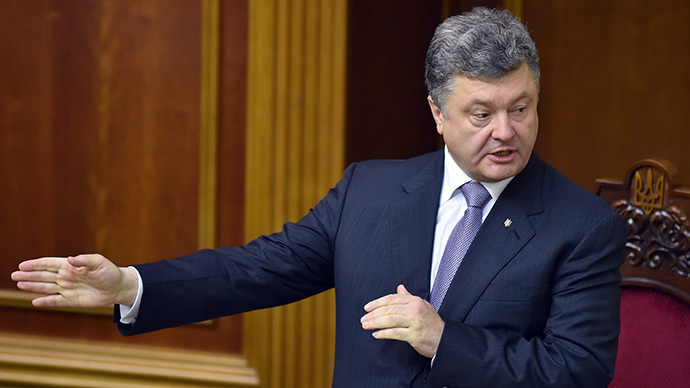 The rounds came from the Ukrainian side. A Russian customs service employee was seriously injured in the fire. 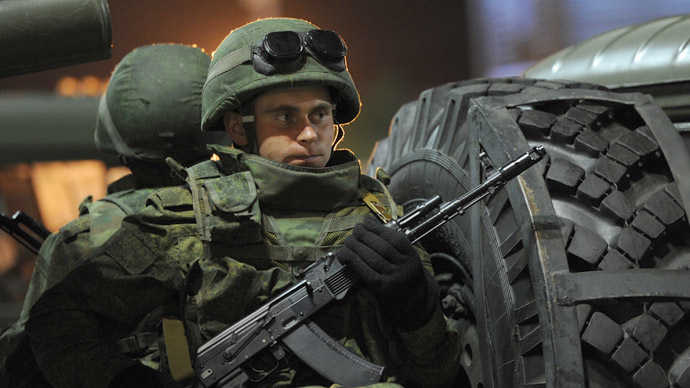 The shelling occurred as Lugansk self-defense forces clashed with Ukrainian military joined by the National Guard, who launched mortar fire that in the end hit the checkpoint, said spokesman of the Border Service in the Rostov Region, Vasily Malayev. While the main target of the shelling was the Ukrainian border checkpoint Dolzhansky, controlled by the militia, several mortars hit Russia’s territory, he added. 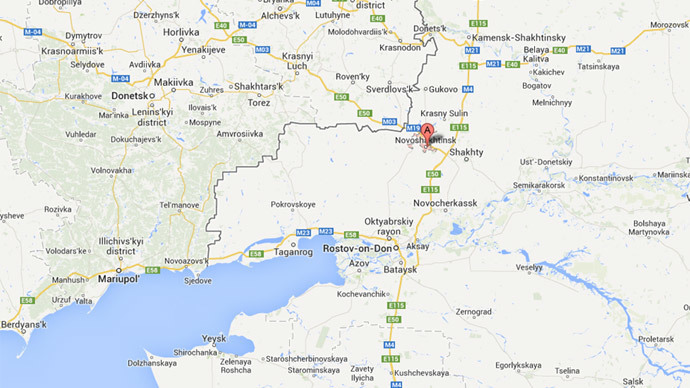 The video that was posted on Youtube shows the refugee camp near Novoshakhtinsk in Rostov region. One can hear the shelling in the beginning and in the end of the video. The Russian checkpoint was severely damaged, especially its engineer constructions and communication lines, Malayev said. “Our employee was injured and has been transported to the hospital of Novoshakhtinsk. His condition is evaluated as rather serious,” said the Custom’s Service. Police reserves have been deployed in a number of police stations in Rostov region after the Ukrainian army shelled a Russian checkpoint. "In some areas of the Rostov region police reserves were placed on alert to ensure order at the [Russian-Ukrainian] border," regional Internal Ministry press service told RIA Novosti. Russia’s Investigative Committee has launched a criminal investigation into the attempted murder of citizens by shelling Russian territory. Following the incident, the Russian Foreign Ministry filed a protest note to Kiev demanding an immediate explanation and investigation into the shelling. “It is a direct provocation, which aims to prevent the implementation of the Geneva agreement on de-escalation of the Ukrainian conflict,” the ministry said. The Ukrainian Ministry of Defense refuted statements the Ukrainian army shelled a Russian checkpoint. “Due to proximity to the state border with Russia, the Ukrainian military does not fire from artillery or mortars," the statement on its website read. The Ukrainian Foreign Ministry said in a statement that Ukraine has launched a “comprehensive investigation” into the border incident, wishing the “speedy recovery” of a Russian custom official injured in the shelling. “All the circumstances of this incident will be thoroughly investigated by law enforcement agencies of Ukraine,” the statement reads, though pointing out that Ukrainian Defense Ministry maintains it did not use artillery or mortars near the border. In the meantime two more checkpoints on the Ukrainian side of the border have been attacked, with gunfire reportedly stretching into the night. 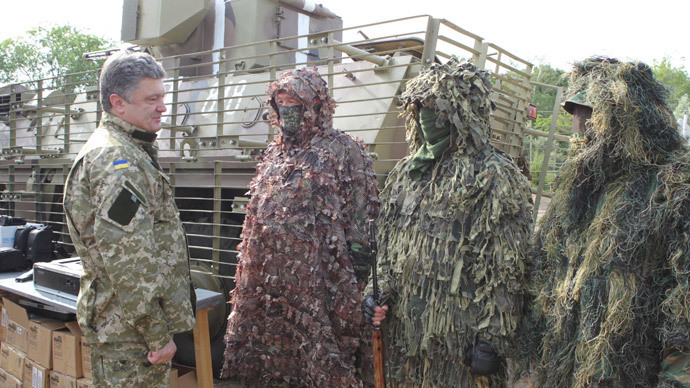 A group of Ukrainian border guards had to seek shelter on Russian territory, fleeing “unidentified armed attackers,” Russian Border Service spokesman Vasily Malayev told Itar-Tass. 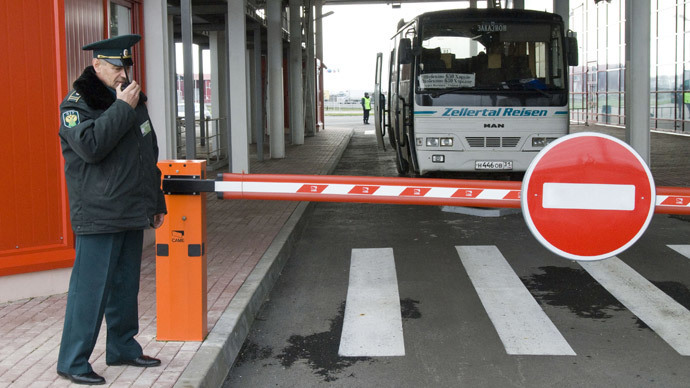 “Unidentified armed people attacked another border crossing Izvarino – Donetsk,” Malayev said. “Around 22:30MSK Ukrainian border guards from Izvarino [checkpoint] arrived in Donetsk [Russian checkpoint], asking a shelter from the armed men pursuing them.” There were wounded among Ukrainian officers who were evacuated to the nearest medical facility, Malayev added. Despite a week-long ceasefireannounced by the Ukrainian president, sporadic clashes continue in eastern Ukraine with unconfirmed reports of artillery shelling in some areas. 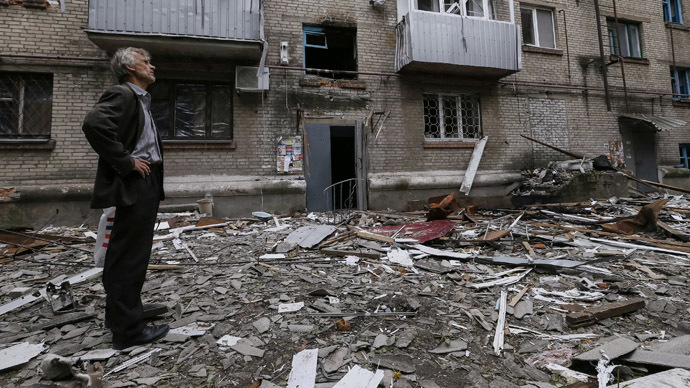 Locals told RIA that shells hit Artema district on the outskirts of Slavyansk shortly after midnight. Meanwhile residents of Semyonovka village told Tass that the Ukrainian air force carried out an airstrike around 23:00 GMT. However the authorities of the self-proclaimed People's Republic of Donetsk could not confirm the incident.